Rotary Club of Havant - Welcome! The Rotary Club of Havant has over 60 years’ of proud history supporting local, national and International charities. 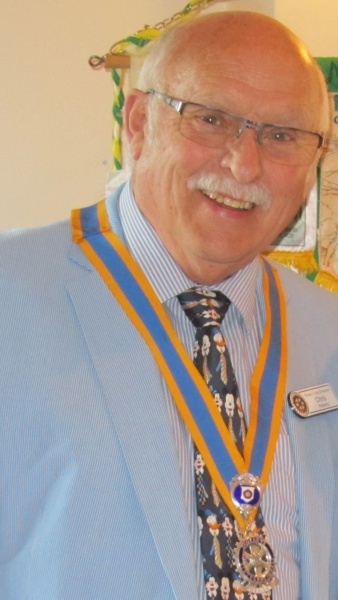 Today Havant Rotary has 45 members, including 9 ladies, and is the most proactive of the numerous Rotary Clubs in Wessex Rotary District 1110. I am honoured to have been given the opportunity to be President for the forthcoming Rotary Year. I was introduced to Rotary and joined Havant Rotary Club in 2001. We have grown in membership and diversity to where we stand today and look forward to the coming year to see us grow further. I would like to thank everyone who has volunteered to be on Council and Committees. I feel we have a good balance of members across the various committees and with all other members of the club, will have a successful and enjoyable year. I would like one of our themes for the year to be: How can we as Rotarians help increase awareness of the environment and reduce the plastic pollution of our local seas and harbours? I hope you will support me in this so that at the end of my presidential year I can say – “We really made a difference”. I would like us to succeed in our goals, and inspire the Local Community and be recognized for the work we do. Let’s make the current Rotary year both productive and enjoyable. Not a Rotarian? Should you be interested in finding out how we are helping our local community, then please come along to one of our Monday evening meetings at the Bear hotel and have a meal and a chat. Just email me with your contact details, or follow the link to Membership enquiries. Being a Rotarian is about fellowship and meeting like-minded people; helping others and having fun in the process! Let your dreams become your favourite memories. You can see some of our latest activities on our facebook page - just click the facebook icon.